The Congress has written to UP DGP to stop RSS shakhas in parks too after the Noida Police asked private firms not to allow their employees to gather a local park to offer namaz. 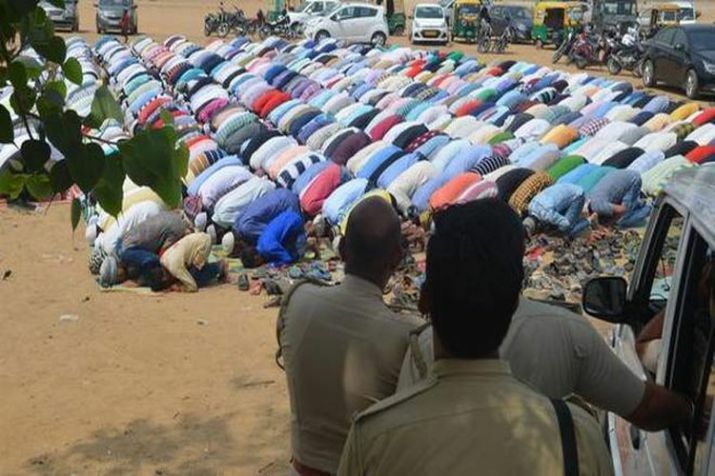 Noida Police had asked private firms to stop from gathering at a park in Sector 58 to offer namaz. 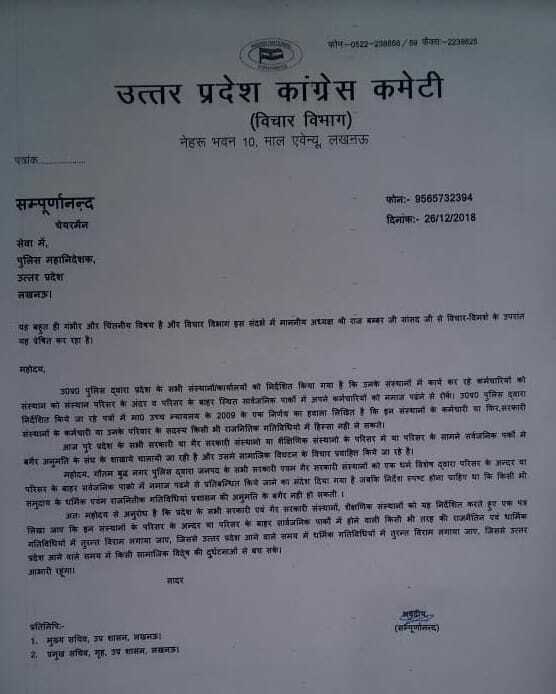 Days after Noida Police asked private firms in Sector 58 to stop their employees from gathering at a local park to offer namaz, the Uttar Pradesh unit of the Congress has written to state Director General of Police (DGP) to stop Rashtriya Swayamsevak Sang (RSS) shakhas in parks too. In his letter, Sampurnananda, chairperson of the Congress’ Vichar department, said RSS has been organising shakhas in parks without permission from administration, so the organisation should be stopped from doing so. "What happened in Noida is a serious issue and I decided to write to UP DGP after consultation with Congress state president Raj Babbar. I informed him that the UP Police have instructed institutions to stop their employees from offering namaz inside or outside a public park citing a 2009 Supreme Court ruling. Shakhas of the Sangh (RSS) are being organised without permission too. Instead of making any religion-specific instructions, the police should ensure that no religious or political activity takes place at any public place or institution without permission," Sampurnananda said in his letter. “Is tarah ki gatividhion mein turant viram lagaya jaye jisse pradesh aane wale samay mein kisi samajik vidvesh ki durghatnaon se bach sake (such activities should be immediately stopped so that the state can be saved from any untoward incident in future)," the leader said. Senior Congress leader Ghulam Nabi Azad backed Sampurnananda over his statement and said that Uttar Pradesh was under 'gunda raj'. "There is jungle raj...gunda raj in the state. No one is bothered about catching the real culprits but innocents are being harassed," Azad said. Samajwadi Party leader Ram Gopal Yadav too came out in support of the Congress over the issue and said that 'young minds are being poisoned' in the Uttar Pradesh. religious gatherings by the police, as permission has not been granted for holding prayers there. 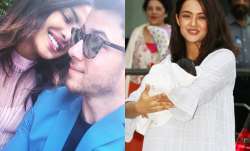 The 45-year-old Adil Rashid, one of the organisers of the Friday namaaz at the park, said he did not want to 'whip up' any further controversy on the issue. The Nodia Police had issued orders stating that Friday prayers cannot be held at the government plot as there was no requisite permission.